The Bumble Bee is considered our medium weight wrist wrap. CrossFit athletes perform a myriad of tasks such as snatches, clean and jerks, thrusters, and many more. Have you ever noticed how your wrists tend to get strained while performing them? Sure, you can don a cotton wrist support, but did you know they don’t actually provide the support a seasoned CrossFit athlete needs? Uniquely designed CrossFit wrist supports, such as this brightly hued Bumble Bee one, provide the support and flexibility that cotton ones don’t. Made with a specially formulated blend of fabric, this wrist support guarantees a diminished chance in spraining your wrist, and athletes know a sprain can significantly setback performance. Made by an experienced Sports Chiropractor who is also a CrossFit athlete, the yellow colored Bumble Bee can be customized to a gym or sportsperson’s logo. 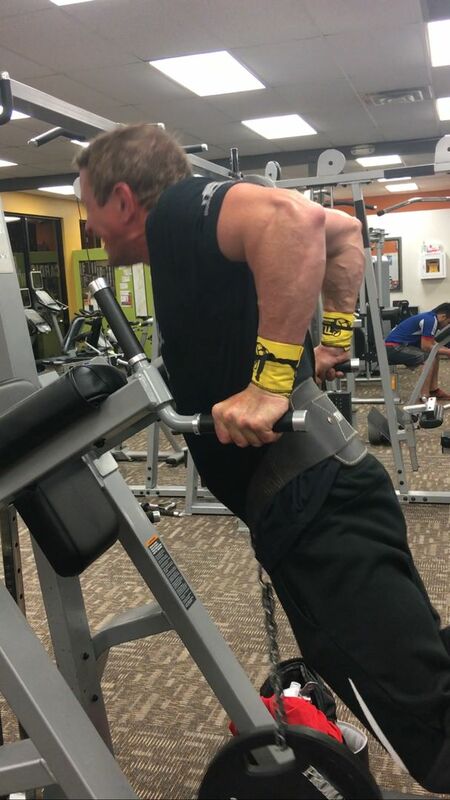 A unique thumb loop ensures it doesn’t curl down and can be loosened or fastened in-between exercises easily. Get two wraps in one price and never worry about a sprain ever again. Very comfortable and they give me the support I need. I didn’t want super rigid support. I love the color, too! Herman L. Reviewed by Herman L.
I love the style, color and support of these wrist wraps. I've been using these for some time now and would highly recommend these. Benjamin G. Reviewed by Benjamin G.
Great Love em 🏋🏋 2nd pair of cloth wrist wraps... black Ops coming soon!!! I will own all before it's over with!! I'm getting YOKED up and maintaining my joints as well very happy!!! Jarod F. Reviewed by Jarod F.
Absolutely great!! I have used alot of different wraps before and none have been able to last any time. These wraps rock they stay as tight as you want and with a quick twist they are loose!!! I would highly recommend them to anyone and have been!!! Great job Tuff wraps!! !